The International Society of Schema Therapy (ISST) convenied for three sun-filled days in the beautiful and charming city of Barcelona, Spain, on June 8th through 10th, 2017. The theme of the conference, El Mismo Sol, means “the same sun.” As an international organization, ISST was proud to welcome members from around the world. We know that the only way forward is together, and participants of Barcelona Summer School left with this sense of unity and purpose in the community of schema therapists. Day 1 started with workshop tracks in advanced mode work with David Edwards; schema couples therapy with Travis Atkinson and Poul Perris; advanced group schema therapy with Ida Shaw, Joan Farrell, Paul Kasyanik and Elena Romanova; and the first day of the certification program in Spanish with Jordi Cid, Matias Valente, and Carlos Rojas. The evening began with a welcoming gathering, where participants reconnected with familiar faces while enjoying robust Spanish wines, along with a local favorite, cava, a fine sparkling wine named after the cellars in which it is produced. The evening social program featured a tour of Sant Pau Hospital, journeying through the history of medicine in Barcelona. Day 2 began with the dynamic practice of AcroYoga with Arapua & Catita, progressions blending the wisdom of yoga with the power of acrobatics to cultivate trust, playfulness, and community within teams. Workshop tracks included advanced imagery rescripting with Chris Hayes and Remco van der Wijngaart; research in clinical settings with Arnoud Arntz; anger & aggression in the forensic population with Kerry Beckley and Jan Kossack, and the second day of the certification program focused on borderline personality disorder with Jeff Young, Joan Farrell, and Ida Shaw. A round table discussion ended the training day, which was captured on many YouTube streams, moderated by Wendy Behary, and included Arnoud Arntz, David Edwards, Joan Farrell, Poul Perris, Eckhard Roediger, and Jeff Young. The tour of Casa de les Punxes continued the social program, a cluster of six conical towers. The final gathering to cap off a day full of experiences on the second day was tapas, for a casual experience. The final day began again with AcroYoga, followed by workshops on advanced schema therapy 2.0 with Eckhard Roediger, individual and group schema therapy for children & adolescents with Christof Loose and Maria Galimzyanova; supervision skills with Jeff Conway and Joan Farrell; and the third day of the certification program, focused on narcissism, with Wendy Behary and Carlos Rojas. Three fun-packed days came to a climax at Barceloneta Restaurant, located in a fisherman’s quarter with a small village feeling that remains, for the Summer School Gala, where delicious food awaited all who attended. Participants navigated all the workshops and events on the Schema Therapy App, where calendars could be personalized, and connections between participants could be enhanced through chat features, and comments within each event. We also used a state-of-the-art QR code system to track registrations. Since Barcelona Summer School ended, new technology became available, allowing us to create an all-new app, with even better features and improved device compatibility. If you attended Summer School, and haven’t already downloaded the new app, contact us for the link: EMAIL The legacy app will be retired over the next couple of weeks. On the new app, catch up with fellow participants using incredibly useful “chat” feature, see pictures from Vienna at INSPIRE 2016, and upload your favorite photos and videos you would like to share on the website using the new “Take part” option. 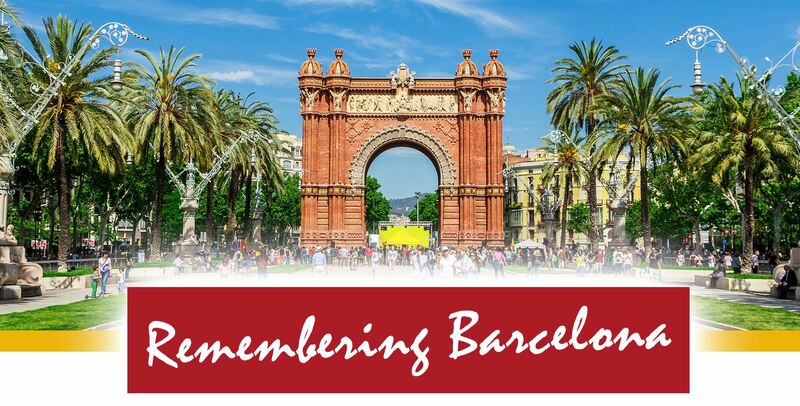 A special thanks to everyone who made Barcelona Summer School possible, including the organizing committee, which consisted of Jordi Cid, our local contact member in Barcelona, Joan Farrell, our Training & Certification Coordinator and Paul Kasyanik, our Coordinator for Science & Research, who helped design the educational components; Eckhard Roediger, for his steadfast stewardship as Treasurer; Wendy Behary for her organizational efforts, and Carlos Rojas, who also helped with promotional tasks for our Spanish participants. Travis Atkinson, our Public Relations Coordinator, spearheaded the publicity efforts, along with several organizational tasks, including the creation of the conference app. We also are grateful to the wonderful people of Barcelona, who provided such a warm and hospital welcome to all participants. The recent tragic attack on the host city brought a special remembrance to all those who were so powerfully and devastatingly impacted. All that we do in our work in schema therapy reinforces love conquering hate, and our hearts go out to those who were harmed, and to family and friends of those who lost their lives. We want to thank all of our participants, presenters, and organizers for making this year's ISST International Summer School in Barcelona possible!